7 Inch Cinema - A huge chunk of the moving images being created never get close to your local multiplex or TV screen. 7 inch cinema - based in Birmingham UK - was established as a home for some of this work, whether it be claymation musicals from Ladywood or roller-blading heist films from Paris. Alongside shorts and music videos there are performances, DJs, live soundtracks, installations and slideshows. Archive of American Television - Interviews about television history. Over 2,000 hours of original content. BFI screenonline - Brings to life Britain's big and small screen histories from the 1890s to the present. Popular classics, little-known gems and many hard-to-find films and television programmes are represented by thousands of video extracts, thousands of still images, publicity materials and specially-written analyses by expert writers, supported by comprehensive filmographic information. screenonline is a vital resource for anyone with either an academic or casual interest in British film or television. Access to video and audio material is limited to users in registered UK schools, colleges and libraries. British Pathe - One of the oldest media companies in the world. They were established in London in 1902, and by 1910 were producing their famous bi-weekly newsreel the Pathe Gazette. After the First World War they started producing various Cinemagazines as well. By 1930 they were producing the Gazette, the Pathetone Weekly, the Pathe Pictorial and Eve's Film Review, covering entertainment, culture and womens' issues. By the time Pathe finally stopped producing the cinema newsreel in 1970 they had accumulated 3500 hours of filmed history amounting to over 90,000 individual items. Most of this is now available online at British Pathe (YouTube). CBC Documentaries - Watch the best documentaries from Canada and around the world on digital TV. It's like having a cinema in your own living room, showing award winning films twenty-four hours a day, seven days a week. Cinema=Jean-Luc Godard=Cinema - Essays, reviews, filmography, interviews, and links to the films of Jean-Luc Godard. Docs Online - Documentary film library. Documentary Films - Resources and news on documentary films and filmmakers. Documentary Heaven - Compiles documentaries from around the web on a variety of topics. Elmer Bernstein (1922-2004) - Official site of the film composer who wrote the music for over 200 major film and television scores. Errol Morris - Janet Maslin of the New York Times describes Morris as "a one-of-a-kind filmmaker capable of melding science, philosophy, poetry and sheer whimsy into an elaborate meditation on mankind's mysteries." FedFlix - Features over 8,700 films created by the US government over the past 70 years on a range of topics. Filmakers Library - Developing a collection of award-winning documentary films and videos primarily for educational use, covering such subject areas as psychology, sociology, anthropology, women's studies and multicultural issues. Titles from the collection are available for rental or sale to universities, schools, museums, businesses and community groups. ForeignFilms - Classic foreign titles to the latest arthouse releases. Free Documentaries.org - Free streaming independent documentary films. Harry Smith Archives - It was in San Francisco that Smith began to build a reputation as one of the leading American experimental filmmakers. He showed frequently in the "Art in Cinema" screenings organized by Frank Stauffacher at the San Francisco Museum of Modern Art. Smith not only became close with other avant-garde filmmakers in the Bay Area, such as Jordan Belson and Hy Hirsh, but traveled frequently to Los Angeles to see the films of Oskar Fischinger, Kenneth Anger, and other Southern Californians experimentalists. Smith developed his own methods of animation, using both stop motion collage techniques and, more uniquely, hand-painting directly on film. Often a single film required years of painstakingly precise labor. While a few other filmmakers had employed similar frame-by-frame processes, few matched the complexity of composition, movement, and integration in Smith's work. Smith's films have been interpreted as investigations of conscious and unconscious mental processes, while his fusion of color and sound are acknowledged as precursors of sixties psychedelia. At times, Smith spoke of his films in terms of synaethesia, the search for correspondences between color and sound and sound and movement. Harvard Film Archive - Presents films Friday through Monday nights year round. Frequently invites filmmakers to discuss their work and engage with the vibrant community of students, professors, artists and cinephiles who regularly attend Archive screenings. Hot Docs Canadian International Documentary Festival - North America's largest documentary festival, conference and market. Each year, the Festival presents a selection of more than 180 cutting-edge documentaries from Canada and around the globe. Through its industry programs, Hot Docs also provides a full range of professional development, market and networking opportunities for documentary professionals. Hugh M. Hefner Moving Image Archive (University of Southern California) - Comprised of approximately 70,000 motion picture negatives, magnetic sound elements, release prints and a growing percentage of moving image materials in digital formats. The archive's collection of USC student and staff films provides an opportunity for current production students to study the works of USC alumni. The student film collection houses both the original camera negative and release prints of many USC alumni as well as a research collection of commercial feature films, television programs, educational films and shorts to support the school's academic mission. International Documentary Association (IDA) - Promotes nonfiction film and video around the world. Independent Film Channel (IFC) - Features independent movies, documentaries, animation, shorts, exclusive originals, and coverage of all the major independent film festivals. International Federation of Film Archives (FIAF) - Brings together institutions dedicated to rescuing films both as cultural heritage and as historical documents. Focuses on the practical and economic implications of digitalization, upon commercial imperatives, and what this may mean for traditional film archiving activities. Internet Moving Images Archive: Movie Collection - This collection contains movies that the Prelinger Archives has digitized (about 750 now online) and donated to the Internet Archive. The films focus mainly on everyday life, culture, industry, and institutions in North America in the 20th century. Irish Film Institute: Irish Film Archive - Acquires, preserves and makes available Ireland's moving image heritage, working to ensure that Ireland's rich and varied film history, both amateur and professional. The material is historically, socially and culturally valuable, providing a unique visual record of the development of modern Ireland, with collections spanning from 1897 to the present day. John Pilger - The films and journalism writing of John Pilger. Kamran Shirdel - Shirdel is considered a father figure of Iran's new cinema and documentary school of filmmaking. He paved the way for a type of social and critical documentary film in Iran that refused to be misused by presenting a politically documented and accurate reflection of reality. Many famed Iranian cineastes, such as Abbas Kiarostami, Amir Naderi, Jafar Panahi, Rakhshan Banietemad, Mohammad Reza Aslani, Khosrow Masooumi, Mahvash Sheikholeslami, and Soudabeh Babagap, have been his pupils or worked directly with him during their formative years. Shirdel's films are considered to be veritable references for the social documentary and filmmaking in Iran. KPFA Archives - Programming is local, original and eclectic, with a well produced mix of news and in depth public affairs, an ongoing drama, literature and performance series, interviews, and reviews. Media Resources Center (MRC) - MRC is the University of California, Berkeley library's primary collection of materials in electronic non-print (audio and visual) formats. The permanent collection includes dramatic performances, literary adaptations, speeches, lectures and events, documentaries, including one of the strongest collections of works by independent film and video makers in the U.S. Virtually every currently-available video version of Shakespeare's plays; major PBS series; radio documentaries and interviews from the Pacific Archives and National Public Radio, and an excellent study-level collection of international cinema works are just a few of the resources you will find in the Media Center. Mr. Bongo - Building a diverse catalogue of impressive directing and acting talent and a selection of cinematic gems from around the world. Museum of the Moving Image - Advances the understanding, enjoyment, and appreciation of the art, history, technique, and technology of film, television, and digital media by presenting exhibitions, education programs, significant moving-image works, and interpretive programs, and collecting and preserving moving-image related artifacts. National Film Board (Canada) - Nearly 1500 films, clips and trailers online, free for personal use and on a subscription basis for schools and institutions. Open Video Project: A Shared Digital Video Collection - The purpose of the Open Video Project is to collect and make available a repository of digitized video content for the digital video, multimedia retrieval, digital library, and other research communities. Researchers can use the video to study a wide range of problems, such as tests of algorithms for automatic segmentation, summarization, and creation of surrogates that describe video content; the development of face recognition algorithms; or creating and evaluating interfaces that display result sets from multimedia queries. Because researchers attempting to solve similar problems will have access to the same video content, the repository is also intended to be used as a test collection that will enable systems to be compared, similar to the way the TREC conferences are used for text retrieval. Pacific Film Archive (PFA) - More than 6,600 records describing PFA's permanent film and video collection. Berkeley, California. Political Remix Video - Aims to showcase some of the best, most innovative and inspiring examples of political remix video on the net. Prelinger Collection - The Library of Congress has acquired the Prelinger Collection, comprising more than 48,000 historical "ephemeral" motion pictures, from its owner, Prelinger Archives of San Francisco. The Prelinger Collection brings together a wide variety of American ephemeral motion pictures-advertising, educational, industrial, amateur and documentary films depicting everyday life, culture and industry in America throughout the 20th century. Although images from the collection have been used in thousands of films, television programs and other productions throughout the last 20 years, the films themselves generally have not been available to researchers and the public. 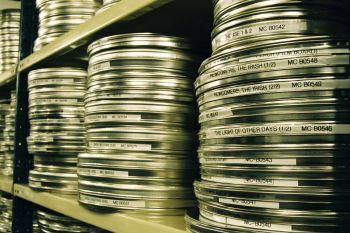 Those wishing to gain access to films for research, pleasure or reuse may view and download 1,500 key titles without charge through the Internet Archive, while those in search of stock footage for production may acquire it through Prelinger's authorized representative, Getty Images. Raindance - Dedicated to fostering and promoting independent film in the UK and around the world, Raindance combines Film Training Courses, Rawtalent Productions, Raindance, Raindance East and Raindance Kids Film Festivals, Raindance Film Magazine, and hosts the prestigious British Independent Film Awards. SnagFilms - Watch free movies and documentaries online. Top Documentary Films - Linked documentary content from sites all over the web. 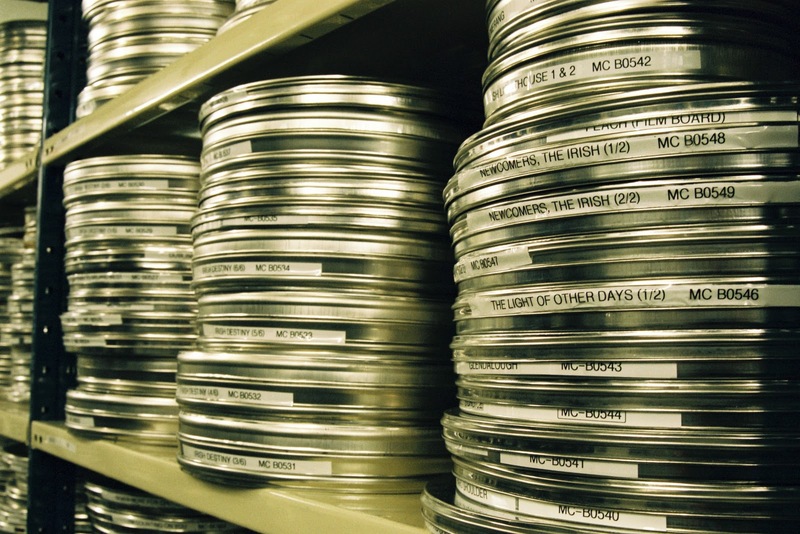 UCLA Film and Television Archive - Contains over 220,000 films and television programs, and 27 million feet of newsreel footage. Video Data Bank (VDB) - Founded in 1976 at the inception of the media arts movement, the Video Data Bank is the leading resource in the United States for video by and about contemporary artists. The VDB collections feature innovative video work made by artists from an aesthetic, political or personal point of view. The collections include seminal works that, seen as a whole, describe the development of video as an art form originating in the late 1960's and continuing to the present. visionOntv - Enables you to create and collate video. A source of in-depth and verifiable news, with fact-checking links to reliable sources.